Saul Marquez: [00:00:18] Welcome back once again to the outcomes rocket podcast where we chat with today’s most successful and inspiring healthcare leaders. I really want to thank you for tuning in again and I welcome you to go to outcomesrocket.health/reviews where you could leave a rating and review for today’s podcast because he is an outstanding health care leader. His name is Gavin Teo. He’s a partner at the Capital Group. He’s a venture investor in healthcare and consumer technology. Gavin has a knack for finding those companies that know how to perform and that know how to disrupt healthcare. He’s a board member at several of them including the al motive. He’s also a board member at Bright M.D. silver cloud health and many others but just want to touch on those little brief points and open up the microphone for Gavin to run out that introduction. Gavin welcome to the podcast my friend. Gavin Teo: [00:01:12] Saul thank you very much for having me. Really appreciate being part of the show. I’m big fan of outcomes rocket and it’s an honor to be here today. I think that that introduction has a good coverage of the things that I’ve done to date but I would just like to say that I would be remiss to say that any of the successes of what you shared wouldn’t be possible without the entrepreneurs the companies and the businesses and management teams that are building them and I’m always and every day when I work with great entrepreneurs at companies like silver cloud and bright M.V. and a motive and others in my portfolio as well. So happy to talk about them and some other great things are doing. Saul Marquez: [00:01:45] Fantastic. Recognition goes out to you all. And so tell me Gavin what got you into this focus area of healthcare to begin with because you obviously had some different experiences in digital media and production and things like that right. What got you into healthcare. 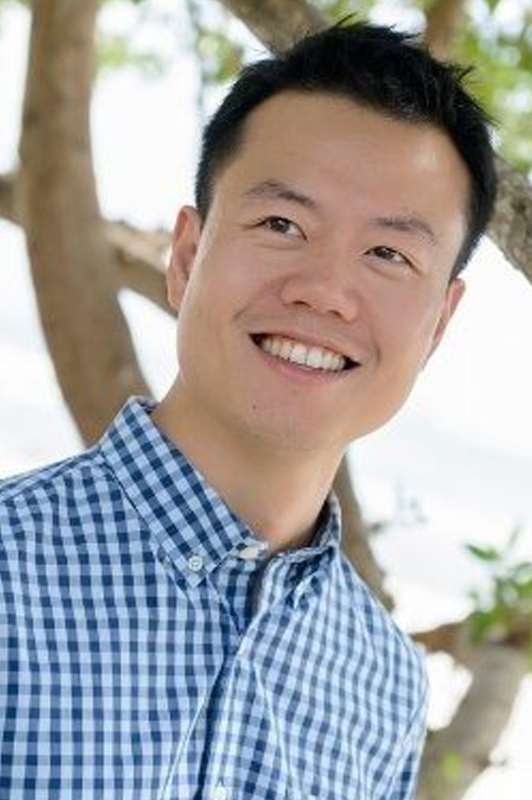 Gavin Teo: [00:02:00] Yes I’ve been a venture investor for about seven years now spending a predominance of my time in healthcare and it really comes from two things the venture and the entrepreneurship part comes from my background. I come from an entrepreneurial family a father that built a business in Asia and in the U.S. that I had the opportunity to kind of see firsthand as it grew and the impact it had on organizations and people. And then the health side from early on. My first role in a professional setting was with Bain and Company the consulting firm in their health care practice and spent a lot of time very clever here clients and that to me really opened up the world of both how care is delivered and how care is reimbursed and paid for which are very important components to IBM the day population health and delivering good outcomes. And so as I’ve kind of extended that into the privilege I’ve had from the current season in backing great entrepreneurs and putting capital to work it’s with that lens. So companies and entrepreneurs building lasting businesses that have impacts their families their teams and also the markets in which they operate and then health care specifically. And I think we live in a very interesting time in that there’s a confluence of population growth. Chronic disease is on the rise. So we’re living longer and dealing with more conditions and in the U.S. and globally there is this element of you know regulation whether that’s the ACA or tax reform that’s challenging you know preconceived notions you know build off of a long history of you know high tech act things like that that have gotten us to where we are today where the cost of care in many ways is unsustainable. The focus on value is something that I strongly believe in and that really makes for interesting set of tailwinds from which to invest capital behind great companies. And that’s really how ended up doing what I’m doing. Saul Marquez: [00:03:33] That’s beautiful. Sounds like a sprinkle of your dad’s influence and then a little bit of your own career spin. And here you are now. Gavin Teo: [00:03:40] Thank you very much yeah. So in my investing career I’ve had the privilege to start enjoying the Capitol group which is a venture capital fund with offices on the west coast of the U.S. and Southeast Asia and we invest in healthcare companies both sides of the Pacific. And then previous to that you alluded to some of my prior investing experience also had the privilege of spending five years at Comcast Ventures where I invested in healthcare and healthcare I.T. alongside digital media and consumer technologies. And I think if I kind of bring those threads together at the end the day patients are consumers and in healthcare often the predominant business models are B2B rights enterprises selling other enterprises yes or B2B to see where it’s still a business. Who’s the payer. But the end user idea on the dais is a patient who has choices around where she or he consumes health. I think that is even more true today when we talk about the consumerization of healthcare the digitization of healthcare. You know we’ve heard terms like quantified self in the past and I think these are all trends that point to the fact that if you don’t do things that are important and received and consumed and respected and appreciated at the point of care then all the business models and the tech and support of that in more B2B settings ultimately will not be successful. And so I try and apply a little bit of that lens of having built and shipped consumer product. I spent a couple of years as a product manager at Zynga social gaming company where I spend a lot of Facebook feeds to be honest. And as you know there there’s a place and time for Reach and engagement. I’ll leave it at that. Are they taking some of those lessons is that how you get adoption and penetration with them health care B2B to seasteading or B2C setting I think is increasingly important as well as we think of patients as consumers. Saul Marquez: [00:05:14] Beautiful. Gavin I think you’ve shared some really great things listeners if you’re a company trying to get started in this space I would recommend you rewind because what Gavin just went through is just some major distinctions that you could tell. He’s been thinking about these things for a long time and it’s these distinctions that will help you be successful is understanding how you’re going to deliver value how you’re going to get paid. And these two factors are so important. Gavin what would you say to folks trying to get started in this space what words of wisdom would you share with them. Gavin Teo: [00:05:48] So I’d say know your customer and know your user really well I think in healthcare more than any other sector. You know we’re looking at an economy versus a vertical right. I mean healthcare is 17 trillion dollars and 20 percent of U.S. GDP depending on where you want to play in that ecosystem. And the business you want to build the constituents that you serve in that you sell to you are pretty different. And so knowing who that is whether it’s in the payroll or holds an insurance company in the risk sharing entity world an employer often in their provider world the health system or in the Life Science World A pharma company or med tech company but you know a lot about at Medtronic. You know I think the constituents are very different. At the end they it’s all about driving better outcomes. Now the incentives have not always been the case. Right. And so as we move from fee for service the fee for value those various constituents I’ve talked about are starting to change ways that they are bundling payments and participating in the reimbursement chain all in service of the patient and the outcome which is supercritical but how you get there right is all about knowing your customer really well and applying the right product markets. Saul Marquez: [00:06:48] It is an economy not just a vertical. GAVIN I love that. Is such a great way to explain I’ve never heard that before and I think it’s just such a great way to explain health care and how big it is and the many different roads you could take to do something to make it better. And what you guys do with your firm is super interesting and so I wanted to just ask you what you believe a hot topic that needs to be on the leaders agenda on healthcare today what is that. Gavin Teo: [00:07:14] Yes I think that at its core in this current phase of where we’re at right now there are two core themes that I’m spending time in. One is point of care right. So it’s basically software and tech enabled services to help patients receive care better cheaper and faster and expand a bit more. And then the second theme is around how do you bring better therapies to market using all the benefits of technology things like artificial intelligence or block chain. And I think pharmaceutical value chain right now are life science value chain from research all the way through to development and commercialization is an area that has a lot of important implications across healthcare. And so just to touch on those two themes in order you know with regards to point of sale point of character Id say we are investors in two companies overcut health is a leader in mental health population management customers being large health systems the UK NHS and several health systems in the US and then another bright M.D. which is redefining the primary care experience. It’s software that helps providers primary care physicians manage in flow better. So in support of provider versus replacing the provider or supplementing with a telehealth type video visit and I think both of those types of investments are companies that currently augment existing workflow by integrating into the H.R. systems and delivering care with existing methods of provider and patient acceptance without needing a whole lot of behavioral change but that include the best of new types of technology to make providers more efficient in treating patients. And I think that theme of bringing care to the settings where it is currently being consumed and making that better versus ripping and replacing it with something that you know is sort of tech for us but not health care for us. I mean these are really important implications and insights. You know if you’re looking to build a product and bring the service to market and then with regards to pharma value chains are very very different tailwinds but really important to keep on the agenda. You know if I take a step back and think about where we are right now in the broader macro business cycle you know we’re at the top of it’s a bumper profitable cycle right. And on top of that we’re adding tax reform and cutting corporate tax rates by half. And so I think the net result of that is there’s going to be a lot of cash on large balance sheets. I think that’s going to be felt within healthcare as we think about the economy particularly strongly in the life science base. And why is that. 1 These are companies that are very profitable in their own right. But two were also entering a more liberal regulatory environment both with the FDA right and more drugs coming to market and also the FCC. So big megamergers mergers and we’re seeing some of them health care as well. And then finally I’d add that pharma companies more than providers or employers or consumers for that matter and healthcare they are truly global. Right. So you know healthcare services are a local business making drugs and delivering them is a global business. And if you look at some of the large companies like Pfizer’s insanities and Merck’s they have huge you know Eurodollar balances sitting across the pond if you will and tax reform is also going to repatriate a lot of that back. If you kind of rebound between the lines so the net result of all that we’re going to in my view see both MBA and venture activity and consolidation in the form of value chain which I think is really interesting because if then you’re attempting as a healthcare leader to bring product and market into this space having a strategy on how you work with life sciences really important. So I’d say those two themes provide a point of care and really integrating into existing behaviors and then to finding ways to participate in pharma value chain regardless of where you are on service and therapeutic. These I think will be interesting tailwinds for 2018. Saul Marquez: [00:10:47] Some great insights and I think of this from the perspective of the executive leaders listening folks that have money to invest in companies I think that’s a really great summary and a really great way to take a look at the things that are happening in the health care economy. And so as you guys build your portfolio at your company what would you say. One of the biggest things that you’re looking forward to today is. Gavin Teo: [00:11:12] Yeah that’s a great question and I’d love to get your thoughts on that as well Saul. My answer is it’s evolutionary. And every year I think we should take the opportunity to have a sort of a bit of a breather a step back and really think about what are the things that are fundamentally going to change care care delivery and therapy. Right. And those tailwinds macro wise still point towards value versus volume. I think that’s absolutely true North America despite some of the uncertainty around the ACA that you know we’re hearing about even today right with the employer mandate being now called under question after the individual mandate was effectively repealed through tax reform. And so you know one of the things that sort of jumps out to me as we think about a strategy for the year comes back a little bit towards what are the areas that are a little bit less under direct pressure so you can step away from kind of the regulatory uncertainty let it play out a little bit and then circle back when things are a little bit clear. And so as I think about what those areas are for me I’ll start with back to kind of different components of pharmaceutical value chain. Fundamentally I think there’s good regulatory reasons as to why that is going to be a big year for 2018 and so we have two companies that we’ve invested in and now plenty of other great ones that we’re spending time with. One that we haven’t announced that upstream in the research end of our India. So it’s using AI to help with drug discovery and another evolution health that we’re big supporters of and lead the series B in 2016 which brings mobile and modern technology digital technology to virtual clinical research and trial recruitment which is downstream in the development process. So you know perhaps these comments are a little bit more oriented toward some of the life science executives in your listenership but I think the messages are also important more broadly right if you are a health system and you have an API site that you’re running on site then how do you participate in that value chain with Pharma as the primary wallet. I think the use of technology and the use of digital assets and tools with companies like the ones I’ve described can be quite valuable to you. So I’d say that that’s one area for this year where you know we’re pretty bullish and with regards to where we’re spending less time there’s been a lot written on what will happen to the individual market. Right. And the public exchanges think naturally it’s an area that less venture dollars have flowed into in the last 18 months ever since the kind of change in administration for all the natural reasons. But if you look at some of the stats public market are actually the retail market a retail exchange enrollment was up 50 percent year on year last year. Despite everything that folks have been seeing with with uncertainty and in incentives and think part of that is the groundwork that was laid under the prior administration. I think part of it is that there’s a real demand from consumers to have health care coverage right globally. Patients that you know don’t have it through their employer and families through cims that absolutely want and need. And so you know while there isn’t as much attention for it because you know the venture industry is one sort of follows trends and this is one that’s been a little bit on the wane in the last 18 months. My sort of somewhat contrarian view might be let’s not discount Healthcare Distribution through some of the channels that the ACA in its original form brought about. So I’m always interested in models that can leverage some of these tailwinds. Saul Marquez: [00:14:14] Yeah that’s really interesting given as we think about the changing environment for providers and going back to year focus on the life sciences and making more efficient models for the value chain for pharma companies as a provider. What are you doing to diversify your income streams outside of the traditional bread and butter of healthcare. And I think this focus that Gavin is highlighting right now is something to think about because traditionally a lot of hospitals have been very focused really academic institutions have been focused on the Pharma and sourcing patients but community hospitals have an amazing opportunity to also dive into that and create some revenue models for the hospital. Gavin any thoughts on that. Gavin Teo: [00:15:01] Yes the two sets of thoughts. One more directly to day to day operations of a hospital or how you might increase revenue with new revenue streams and the other which is tangential point around how do you participate in kind of broader farmer value chain if you are a provider right. So two different ways. You and or others as to how you might expand your revenue base. You know on the former most provider systems in North America are still fee for service right. And as they move to fee for value that transition requires creative thinking and there’s going to a period of time where you have revenue coming from both just different sets of contracts. I think some of the more progressive provider systems that we had spent time with across the U.S. Many of course on the west coast have started to think about you know capitated risk models bringing in technology to help essentially capture more of that bundle payment. Right. And so some of the systems that right M.D is working with app are full company that’s essentially virtual physician assistant using AI to help with primary care volume in the fee for service world. It’s all about understanding that primary care is often a loss leader for large health systems and in the clinic. The whole idea is retaining that customer and that patient seeing them in the most efficient point of care and not the E.R. or even urgent care but in the primary care adult clinic. And then where necessary and where appropriate treating that patient into specialties is secondary and tertiary care over time and retaining that patient versus letting the patient fall out of the system or go to a competing health system. : [00:16:19] And I think that all is predicated on upstream primary care being efficient being able to capture with low wait times very very large numbers of patients and then treat them and manage them effectively throughout episodes of care throughout the patient lifecycle. And I think that’s where you can throw more bodies at the problem you can hire are way out of the Parmentier shortage you need technology to help existing providers not replace them but help them practice at the top of their license. And that’s what Bright MD is doing and fee for service. But I think there’s a real value in fee for value as well where you know you have a captive to payment and you want to get more of that bundle captured under your roof. And so some of the things that we’re seeing include hospital systems working with the likes of Lyft or Uber where they’re actually subsidizing and organizing the ride where you know post pregnancy. The mother is wheeled out to a car and the car takes her home. Right. Or you know a chronic patient same thing and brings you back to the setting of care where necessary. It’s really the end to end service. You know we’ve used words like concierge in the past and I think that has a sort of a bias to it but it’s not about concierge care it’s about population based care where you bring the patient from where they live into the health care setting. Treat them properly send them home and manage that. And I think there’s opportunities if you essentially do all those service level components with technology to capture more of that value and bring more revenue into the system. And so then on the second theme which is if your provider. What might you do to participate in farmer value chain. I think fundamentally with this regime that we’re in there’s going to be more clinical trials run across the board and the amount of money that a cost to bring a new drug to market and Medtech is within the device and diagnostics within that same realm. I mean we’re talking about you know over a billion dollars and 10 years right to bring one new drug to market with success rates that are in the low teens and throughout that pathway. When you get from Phase 1 to 3 clinical trials it touches patients in the clinic and isor are going to be needed to run those those trials effectively. And so we think about you know recruiting effectively as you think about patient engagement compliance monitoring and then study participation. I think these are all areas where it’s been very analog in the past and bringing technology you know with the likes of habitation health and others in their field can be very helpful to provider systems looking to expand the revenue streams within science. So these are all I think interesting ways that will play themselves out over the next two to five years. Saul Marquez: [00:18:35] Yeah super awesome really appreciate the thoughts there Gavin and you know you mentioned Uber in taking the pregnant lady back home and it’s just interesting to think about it too in the perspective of using Uber and Lyft to take a patient that you screened for that particular social determinants of health. They don’t have a car they don’t live near a bus stop and getting some sort of program put together that will allow them to get the care that they need in order for the E.R. not to continue getting these visits. You know you guys explore any any companies doing anything like that. Gavin Teo: [00:19:10] It’s a great question. I think there was a podcast by Jane Sorenson some Khan who is an awesome thought leader and he’s great with you on outcomes rocket that talked about the social determinants of health right. And I mean things like the early life and work are unemployment social support and transportation. These are the types of things that are going to deeply and directly impact how well you receive care access to care and then how well you’re able to actually use the care options available to you. So I totally agree with that broader sentiment. The Canadian government the Health Canada has done a lot of thinking around this right and put a essentially a standard together on what those social determinants are and you know are trying to steer in the right direction through social policy and health policy ways to alleviate that on a national scale. I think in the US it’s a little bit more fragmented. Right. So I think some of these things end up becoming local ordinances and local efforts the community hospitals and health systems that you know are bearing risk for and circling the patient and making sure that outside of the setting of care the social determinants or at least not positive are the worst elements of them alleviated. So there are a couple companies a one comes to mind. Docent health that does this I mean it essentially has a heavy service component that signs a docent to a health care patient to help manage that experience entering and exiting a hospital setting. And I think there are many other ways to do that through things like checking up with remote patient monitoring once the patient is at home. Having a nurse or case manager or care coordinator ask the right questions and then coordinate where necessary to help them help the patient you know receive care in the right way. Now I know the you know you can coordinate yourself out of things like socio economic factors and work in unemployment. But that’s where the role of government and good government policy come to bear as well. And in years past we’ve heard of things like the patient centered medical home and are really qualified medical centers and you know effectively a lot of government funding through the Medicaid program to help with these types of programs. And I think there’s certainly a need for that because at the end of the day you know while health care and this in this country is of both a private and a public market I think those two elements working together is what will get us to the best outcome especially with regard to things like social determinants. Saul Marquez: [00:21:15] Insightful. The other thing that I was wondering to Gavin is is how does your experience working in Asia as well help you here in the States. Does it help you see anything differently. Does it help you with insights like what are some insights that you gained from your experience out there. Gavin Teo: [00:21:31] Now. Thank you for the question. It’s something we think a lot about a capital group because we are a global fund with a large team in offices in Southeast Asia based out of Singapore. In addition to you know being very very focused in North America and we invest in healthcare globally. So we think about our opportunities. We’ve benchmarked them against each other. We don’t run two different investment committees to make decisions on you know Asia healthcare versus US healthcare or you know vice versa for our other sectors. So I spent a good amount of time in Asia as well with my team there. So I’d say some of the differences between the markets is maybe it’s less Asia but more U.S. versus rest of world in that the U.S. is a two tiered private public healthcare system and the rest of the world is largely universal health right. And so then the question becomes what are the differences between different markets and that’s your question. Agent pacifically I’d say Asia. You do have universal health based countries and I think even the ones that are developing nations also have universal health systems. Then the question becomes how effective are those systems and in the absence of government provided health care if there is no private sector then our patients ultimately uninsured and paying out of pocket for private clinics because there isn’t enough supply on the governments. And I think that’s the case for certain countries like Indonesia and India where we spend time and plenty of opportunity there to introduce new types of healthcare services as well as new types of patient pay insurance type programs in a very very early market. And then there are other countries like us like Singapore and Hong Kong where you have a you know an entrenched and well functioning universal health system already where the government is sponsoring through taxpayer dollars that runs the predominance of hospitals and frankly the best hospitals where they have the most amount of volume and the best the best specialists the best surgeons the best physicians. And I think in these markets the needs are a little bit different. It’s about improving access to care. It’s not about getting everyone insured and covered. It’s about making sure that some of these promises of Population Health are played out like we what we’ve talked about in the last five years in the U.S.. So overall I’d say that in the U.S. we do a lot of IP based investing. Same in in Europe and by that I mean investing in things that are fundamentally core new technology whether that’s AI or life science and drugs are part of that drug value chain in Asia and the rest of the world where some of these kind of fundamental mismatches in supply and demand in developing countries or where you have a big government sector and the private sector is all the less developed least you know. For example in the insurance world we invest a little bit more on business model innovation versus IP innovation. So you know thinking of ways to improve access to care through new types of services. So we give you a couple of examples where investors in a company called cxi or connections Asia Group which is a Singapore Hong Kong based tech enabled health benefits broker. So it’s essentially an insurance exchange for the private market targeting employers which in the U.S. is highly competitive and has large companies that serve employers and broker the relationship between an insurance policy and a large self funded entity like a Fortune 500 company in Asia. That’s all very very new and even large employers and corporates are buying fully insured products so effectively they’re not carrying the principal risk they’re buying that from an insurance company. And so those are the types of differences and you know how do you get the right engagement from employees who are patients who are also consumers care what’s the right model to get distribution. Very different answers in North America. And then you know outside of our portfolio there’s a company called how direful which is basically Teladoc and plus Xhaka for the China market that raise 200 million dollars from 10 cent in a series D round last year. That’s a huge financing anywhere in the world. So examples of you know essentially bringing provider services closer to the patient and those you know again Ghana more business model than IP driven types of innovations that we see in that part of. Saul Marquez: [00:25:05] Kevin. Super interesting and do you blog at all or no. Gavin Teo: [00:25:10] We do have a medium blog about my colleagues and I have the capital group I have on our site. Admittedly we have a lot of work to do to make it richer. So nowhere close the level of sophistication is outcomes rocket. But I’ve had in the past the privilege of being able to contribute to MidCity and the economy and yet few of those other health and technology based blogs and always like to do that with thought leaders. Saul Marquez: [00:25:31] Well I definitely think that Gavin either you or somebody at Capitol has to start a podcast because this has been really insightful. And unfortunately we only have 30 minutes I’d love to keep going. So definitely I will promise to a part two to this listeners. You’ll get a part too. And Gavin should take that and just let it marinate because I think you guys could produce a really really good podcast with some good content that I would love to listen to frankly. Gavin Teo: [00:25:56] Well, thank you would be an honor to come back to a show I really appreciate you having me. Saul Marquez: [00:25:59] So Gavin. Before we do part though I don’t want to and without doing our outcomes course the lightning round. So are you ready for that. Gavin Teo: [00:26:08] Let’s do it. Saul Marquez: [00:26:09] All right. What’s the best way to improve health care outcomes. Gavin Teo: [00:26:12] Focus on the patient and don’t forget about how you get to the patient. Saul Marquez: [00:26:15] What is the biggest mistake or pitfall to avoid. 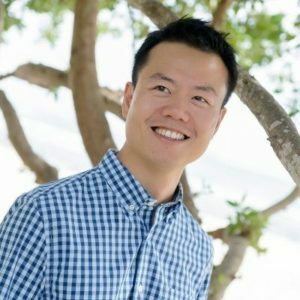 Gavin Teo: [00:26:18] Forgetting to measure and to be really thoughtful about what are the metrics that you’re looking to optimize for and be that of rabidly focused on those things. Saul Marquez: [00:26:26] How do you stay relevant as an organization. Despite constant change. Gavin Teo: [00:26:31] Hire the best people nurture them. Focus on professional development and then let them go where their careers will take them and in the intervening journey worked really hard and really well with that focus on the individuals that make up the organization. Saul Marquez: [00:26:44] Finally what’s one area of focus that should drive everything else in your company. Gavin Teo: [00:26:49] Staying true to your core and defining what it is that you are going to do to make a mark on the world. Saul Marquez: [00:26:54] What book would you recommend Gavin to the listeners. Gavin Teo: [00:26:56] A book. Oh this one might be able a bit out of left field but there’s a book I read recently called over the edge of the world which is about Magellan’s circumnavigation of the globe and it’s written in the style of literary nonfiction. So it’s all fact based and there’s a bibliography at the back. The reason I chose this one is tells us a couple stories about human nature. It’s a huge story about overcoming adversity and was the first person to circumnavigate the globe and you didn’t actually make it back. He died in the Philippines along the way but it was his journey and the fleet of ships that actually did it. But it also tells us a few things about hubris and trying to do things that are off core and off message and I’ll leave it at that. Is that how he ultimately met his demise. But it’s all about you know going for shooting for the stars doing things that haven’t been done before but knowing where your limits are and being cognizant of of what you ultimately want to achieve and doing it the right way. Saul Marquez: [00:27:45] Sounds like a great book. And you left a great hook. So listeners go to outcomesroket.health/Gavin that’s G A V I N. And you’re gonna find all of the show notes as well as links to all the things that we talked about as well as this book that was just recommended. So Gavin this has been a blast and now what I like is for you to just share a closing thought with the listeners and the best place that they could follow you. Gavin Teo: [00:28:12] Thank you very much for having me. I really had a fun time. I look forward to doing this again soon. So I thought I’d leave you guys with is healthcare is an economy. It’s one that touches every element of our lives and it’s huge and growing. So if you have a great idea and a business that can lead to better outcomes and more efficient care along the way I think that you should absolutely do it. The time is now and with regard to staying in touch from my email is gavin@bcapgroup.com our website is also the way that may not be capped True.com would love to meet you guys and also get your thoughts on the things that will change outcomes in modern healthcare. Saul Marquez: [00:28:46] Hey Gavin thanks so much for stopping by. Man has been a pleasure. Gavin Teo: [00:28:49] Thank you. Really appreciate the time and look forward to staying in touch. : [00:28:56] Thanks for listening to the Outcomes Rocket podcast. Be sure to visit us on the web at www.outcomesrocket.com for the show notes, resources, inspiration and so much more.